I want to share the fun. Here’s a challenge for 2017 (and the year is still young – so we have lots of time). 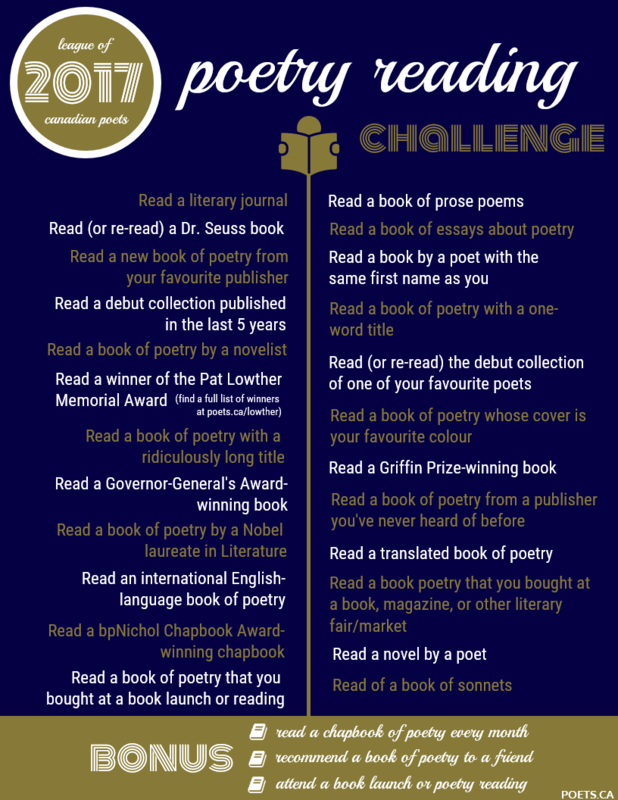 This challenge comes via my country’s The League of Canadian Poets. This is one of our favourite times of the year: reading goals are being met, best-of lists are being created, and we get to remember all our favourite moments the year–and at the same time, we’re gearing up for new year’s resolutions and next year’s reading goals! If you want to step up your poetry game in 2017 but you’re not sure where to start, we’ve created a 2017 poetry reading challenge just for you. You’ll find 24 reading challenges to help you challenge and diversify your reading in the new year, and we hope you’ll share your progress! Use the hashtag #LCPChallenge or tag @CanadianPoets on Twitter so we can share what you’re reading. 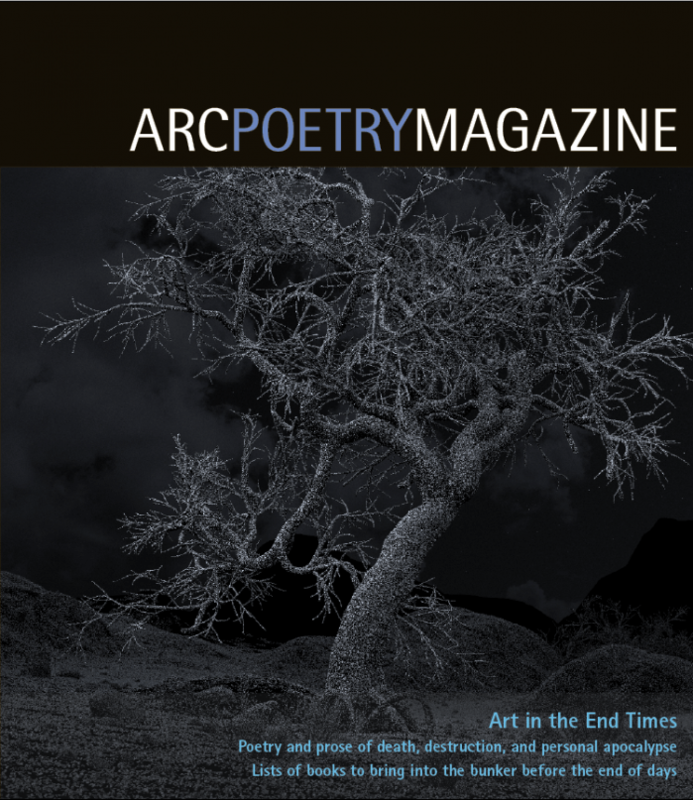 We encourage you to explore Canadian poetry, to read as many new poets as you can, and to read as diversely as possible! We’ll be sharing our reads throughout the year, and we’re excited to see yours too. Happy new year!